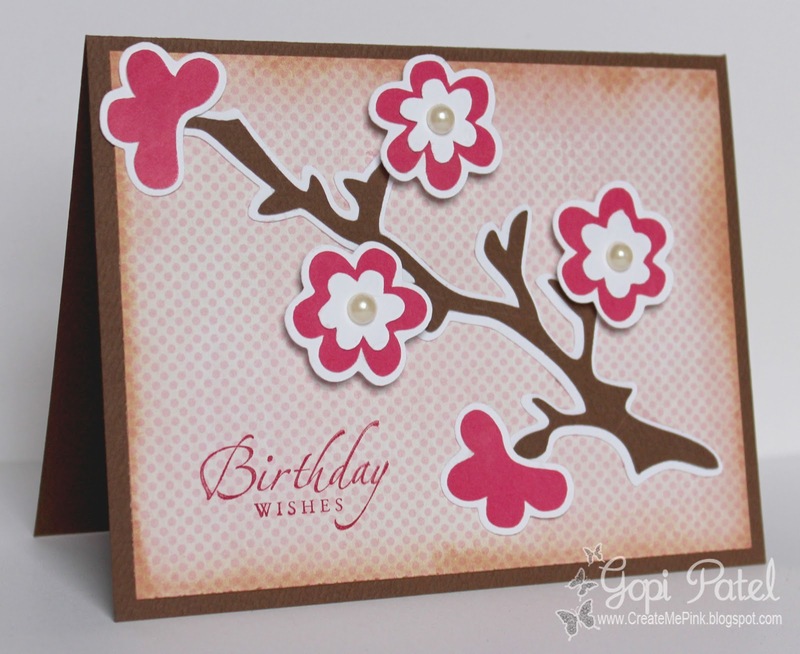 You'll be using ELEMENTS on your cards that you'll find on our DT Blogs. 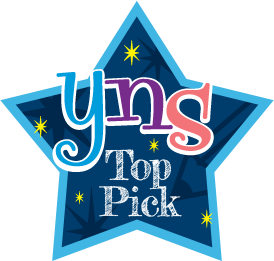 That's right...you'll have to visit each of the five DT blogs listed below for the elements. You only need to put three of the elements onto your card, but you can use more than three if you'd like. 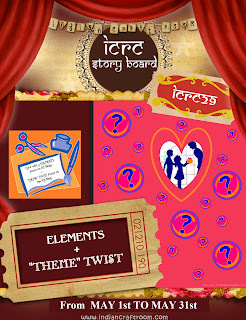 Finally, you must visit the ICR Blog for the TWIST!!! So you have some visiting to do! 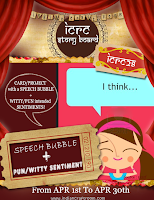 Have fun, and I look forward to seeing your projects on ICR! 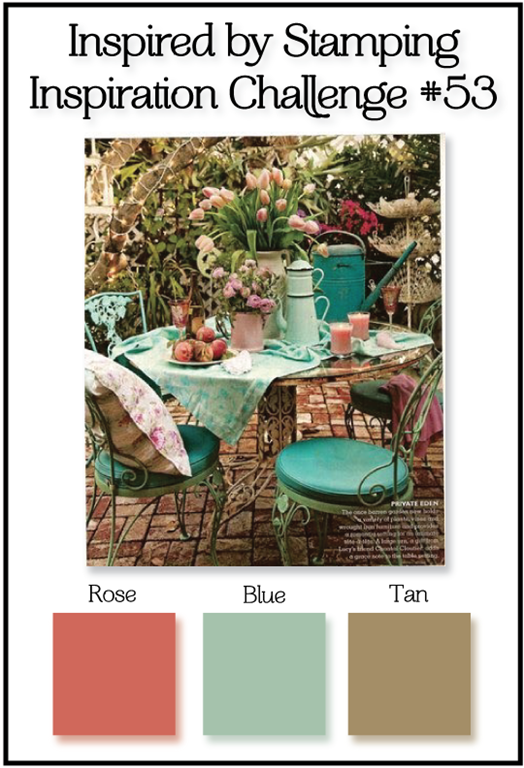 Be sure to list the three elements that you've used, when posting your cards. If you have any questions, please reach out to any of the DT members! I won this digi stamp from Bugaboo Stamps! I colored it in with my copic markers, and added the PEARLS for the pearl necklace and earrings. The EMBOSSING was done using my cuttlebug folders, and I used the FLOWER Brads for the two rounded corners. 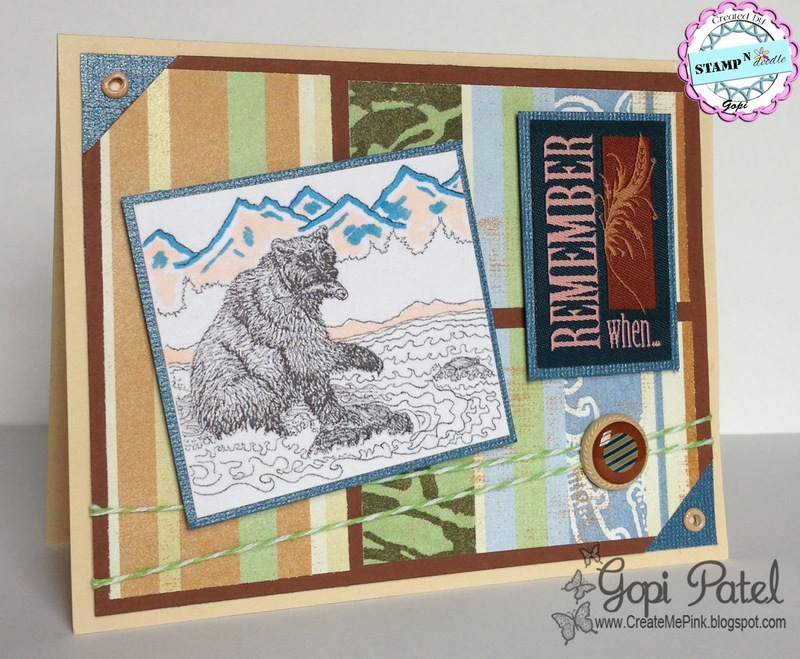 The sentiment is from a SP & Company stamp set. I took a quick picture yesterday of a cherry blossom tree in our neighborhood when I was at a stoplight...so quick, I don't believe the camera had time to adjust. It was so gloomy out, that the pic came out extremely dark. If it wasn't for Instagram and it's million filters, I probably would've deleted it! Pretty huh?! I had to use the "Lovely Emma" Digi Stamp once more...can't get enough of it. I realized I have a new set of 'Emma' stamps I need to use, so will get to it this week! 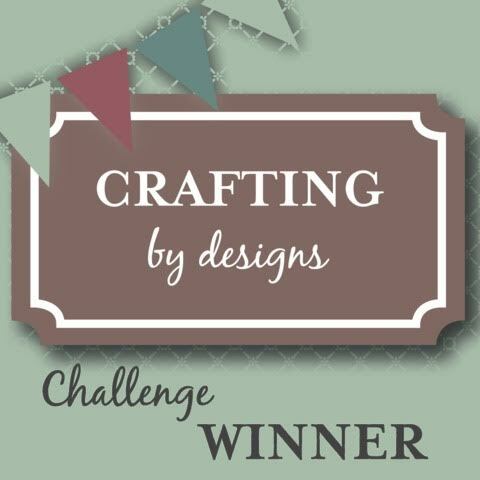 I wanted to share a Design Team card I made for Lady Anne's Sentimental Challenge. 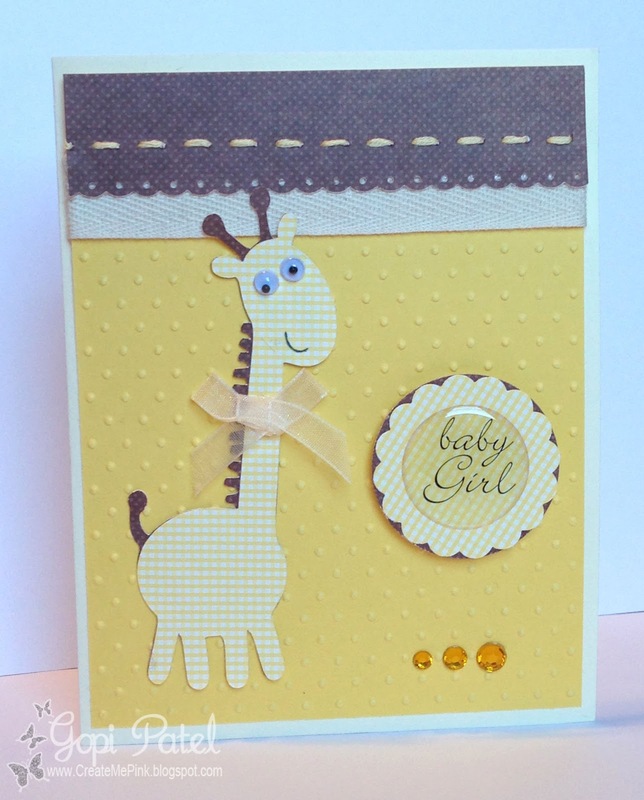 This month's challenge is sponsored by Bugaboo Stamps. I used an adorable image from them, called "Brat Cupcake Wagon." I love their digi stamps! We have a new challenge over at Stamp-N-Doodle. Stop by and check it out! The theme for this week's challenge is "No Embellishments." I'm so used to using some sort or embellishment on my cards, that I had to stop and remind myself not to! As you can see, I still have a VERY LIMITED collection of copics. I need to expand on my browns, cause my horse is looking a little red here...hehe! 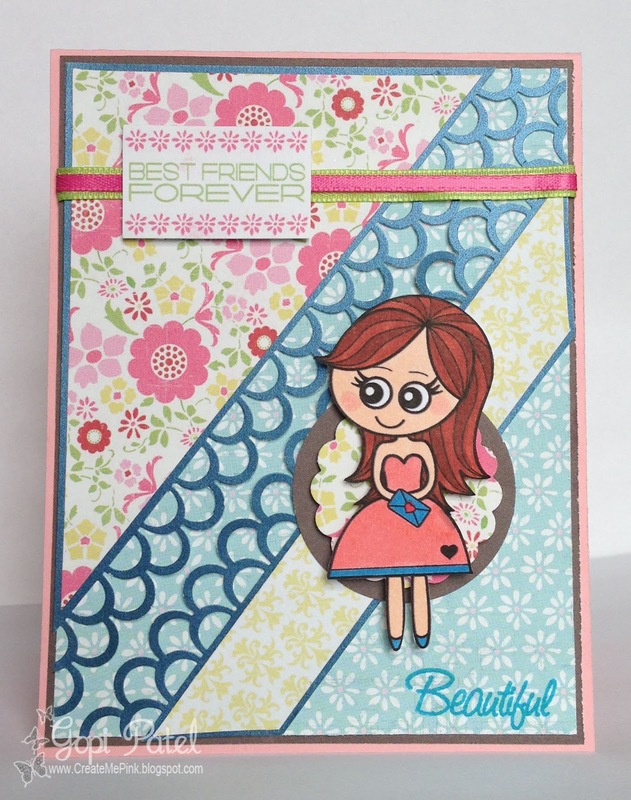 I was happy to see that my April SP & Company Stamps Kit was delivered on Friday! It's absolutely perfect, and I look forward to inking it up this week. SP & Company has some great stamps, and the 'Emma' stamps are my favorite. 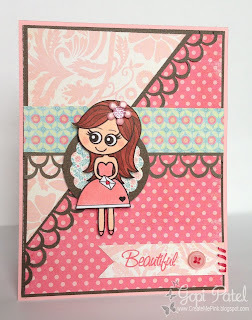 This is the "Lovely Emma" Digi Stamp (freebie) that I downloaded a while ago....how cute is she?! 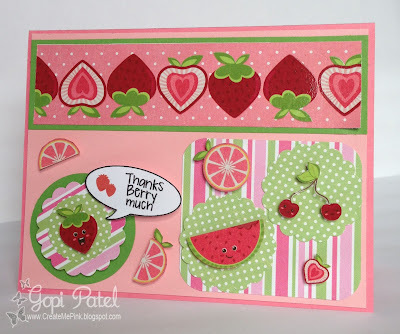 I had to add this to the Inspired by Stamping Inspiration Challege #53 - I think the colors fit perfectly! What a gorgeous pic! Here is the first of two posts for today. 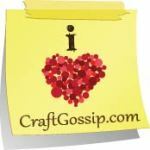 I wanted the second round of DT Inspiration with you from the INDIAN CRAFT ROOM! This is from our current challenge! Do stop by and join us! I used the 12x12 collection paper from Imaginisce for the card. It involved LOTS of cutting. I had to use my blade as well, for the difficult borders. 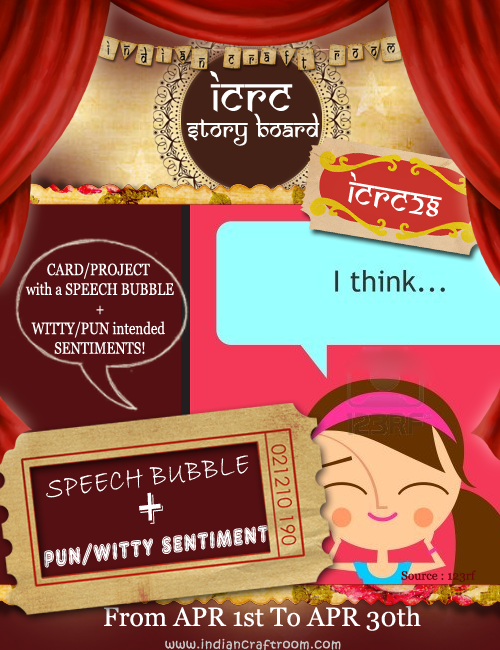 My speech bubble + sentiment is from ICR Digis, created by Banu especially for ICR. You can find them at the INDIAN CRAFT ROOM. They are not to be missed! I printed the whole page, and look forward to using the others soon. I decided not to color in the image completely, and used the copics just for a touch. I hope the weather is starting to warm up wherever you are. 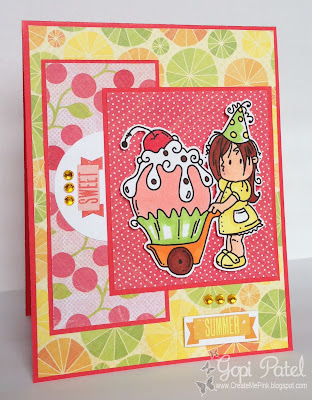 Here's a card I made using the 'Summer Pippa' Digi Stamp over at Stamp-N-Doodle! This adorable digi reminds me of a warm summer breeze. The Alley Way Stamps - Be Inspired #26 "Orange you inspired"
I see cherry blossoms beginning to bloom, and they are gorgeous! I wanted to share a card I made using my Cricut a few months ago. I saw a similar card on Pinterest, and felt a CASE coming on! It's a simple card, but so charming. I loved the LO and pearl details, and put my own twist to it. I used the 'Gypsy Wanderings' Cartridge for this one. You can see the original card that inspired me, at Holly's Blog: Ribbons & Glue. We have a new challenge over at Stamp-N-Doodle! Stop by and check out their digis and stamps...they are fantastic! The theme for this week's challenge is a "Design Team Member Challenge - Bows and Butterflies." 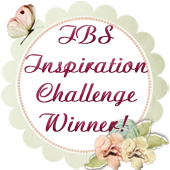 Jill put together the lovely challenge! The animal print on the digi is adorable! I had to bust out with the animal print papers! It's 10AM, and absolutely gorgeous outside! Looking forward to getting outside later today. I wanted to share a card I made using my Cricut. We have a new challenge over at Stamp-N-Doodle! Stop by and check it out! 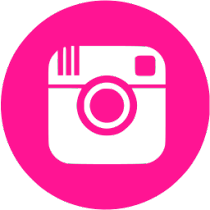 The theme for this week's challenge is "Pretty in Pink." April is my favorite month of the year! The birds are chirping, the flowers are blooming, and the sun is warming everything up. It's also my birthday month! 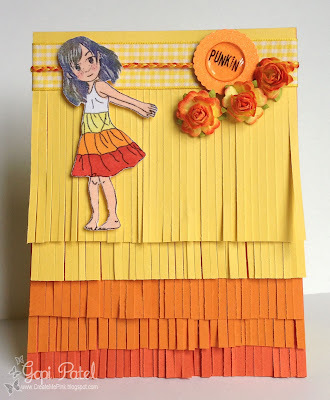 The beginning of a new month brings new challenges our way, and we have one for you over at the INDIAN CRAFT ROOM! This was a fun card to make, as I loved the witty/sentiment idea! When I was first putting together ideas for this card, I could only think monsters! I've been wanting to use these monster digis that I had found a while back. I colored them in with my copic markers, and added the googly eyes. The sewing took quite some time, as the holes were so close to the edges. I had to be careful not to cause any tears. I stamped out my sentiment, drew a border around it with my maker for the speech bubble, and cut it out. 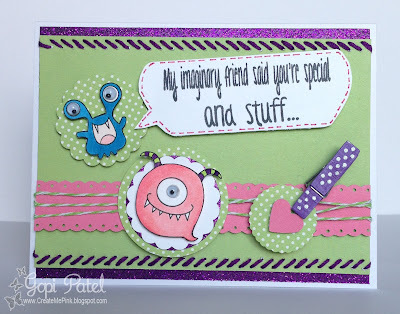 The sentiment is from the "Monster Mash" stamps set. I've had this set from The Alley Way Stamps for almost a year now, and was excited to finally use it!